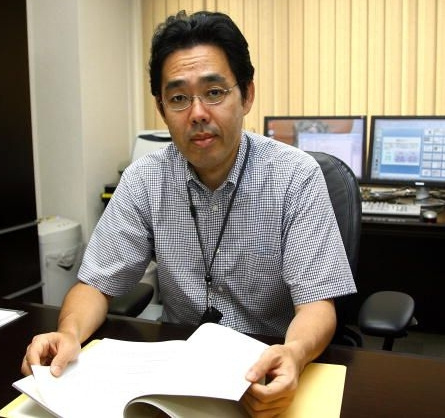 The Brain Training (also known as Brain Age) series is making a return after a long hiatus as Prof. Ryuta Kawashima confirms in his new book, Saraba Nou Game. Translated as "Farewell Brain Games", the book talks about the development of the third title in the popular puzzle collection series. Journalist Hiroki Tachibana has written a report on the book for Gamersta and reveals that Nintendo is aiming for an end-of-year 2010 release for the upcoming Brain Training game. If the game launches before 2011, then obviously it means it will be on the DS. However, if the scheduled release gets pushed back, then we have to wonder if the game will appear on another system altogether instead. As of yet, there's been no official announcement from Nintendo, and Tachibana speculates that the game could actually be in development for the 3DS. In Kawashima's book, he also talks about why it has been many years since there's been an entry in the franchise. Apparently, Nintendo CEO Satoru Iwata and Kawashima wanted to wait until they could make something that was built on "a special idea". With development up and running, we wonder if this special idea does indeed have anything to do with the capabilities of the 3DS. Or maybe it could be a standard DS game, as a familiar and popular franchise is something that will surely help the DS range of systems live long and away from obsolescence. Not sure what 3D could really add to a series like this. 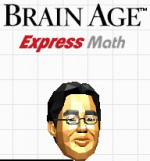 Kawashima's head still needs to become a boss in Smash Bros, as the controller of Master and Crazy Hand. sweet! been waiting for a new brain age. there's a lot of spatial recognition stuff that could be done in 3D. YaY! I cant wait to pick the newest brain age up!! More face training! If you turn the system around you can train your face IN 3D! I still have Brain Age 2 unopened, need to give it a go! Ah, Brain Training. Yes, indeed, give us something good! Wow.. I hate how now there are actually discussions about games being on 3DS or DS. I just bought my DSi XL! I don't have the money for a dang 3DS. You kidding? 3DS should just use the same game card so it works with all DS systems. Not just one. IOh, riots, here we come. Floating Kawashima head in 3D confirmed. @xPOTATOx - They use special cards. How can you possibly want it on the DS to? And you should have saved for a 3DS in this situation.